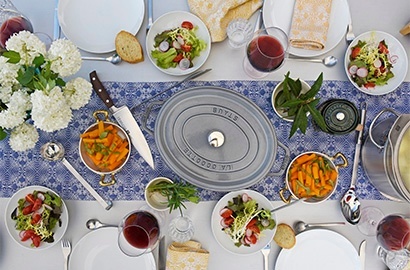 STAUB – LOOKS AS GOOD AS IT COOKS Equally functional and beautiful, STAUB French cast iron cookware and ceramic bakeware move effortlessly from stovetop to oven to tabletop, bringing warmth to every meal with wonderful flavors. The home of the STAUB brand is France, a country famous worldwide for its culinary tradition and really good food. Merville, in the north of France, is the place where STAUB creates high quality cast iron by combining traditional craftsmanship with state-of-the-art technology. We’re just really passionate about cooking. With STAUB products you’ll soon share our sentiments. You just might experience love at first sight as soon as you lay your eyes on their vibrant colors and design. But no worries, you are not alone. Professional chefs and cooking enthusiasts all over the world share your passion. Each cast iron piece is truly unique and the result of a manufacturing process mixing the best of tradition and modern techniques. With its innovative inventions, STAUB has clearly optimized the benefits of the cocotte, creating outstanding cookware that is treasured by professional and home chefs around the world. And probably by you – as soon as you start cooking with STAUB. Luckily this secret actually isn’t that secret, so we are happy to share it. Let’s start with the specially-contoured lid and its excellent moisture-retention properties. Its self-basting system ensures a continuous rainfall effect evenly over the cocotte’s contents. This guarantees that each ingredient retains its full flavor. Meat does not dry out and vegetables remain tender. The interior of all STAUB pots is enameled with a high-quality black matte finish with ideal properties for searing, roasting and caramelizing food. And here’s some more delicious news: enameled cast iron preserves the nutritional values and full aromas for every ingredient. Whatever dishes you prepare in the STAUB cocotte, you can count on a tasty and nutritional result for mouthwatering meals. 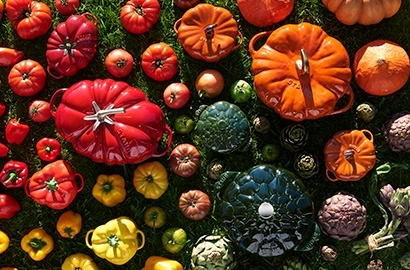 There are a lot of words that can describe STAUB products: perfect, innovative, unique, and traditional. But there is one word that really means the world to us: Bravo. That’s because it’s actually a quote from Paul Bocuse himself. 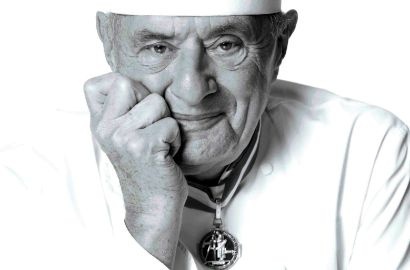 Here’s what the chef, the legend, and the holder of three Michelin Stars continuously for more than 50 years said: "A good knuckle of veal or osso bucco cooked in a cocotte is really something else. And that is precisely what differentiates French cuisine! Bravo to the STAUB cocotte."